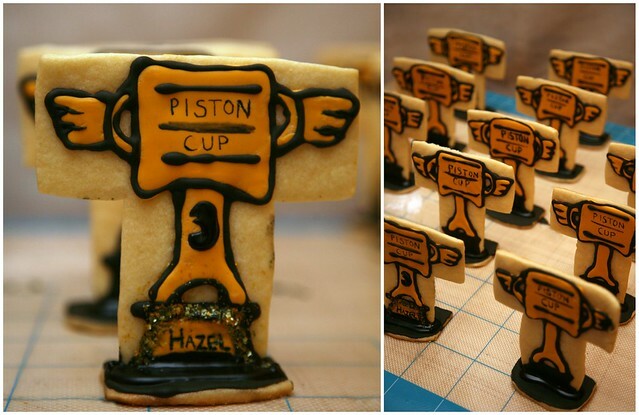 Hazel's mom wanted to give out Piston Cup Sugar Cookies as party favors at her daughter's birthday party, which I thought was a really fun idea. My focus group (aka, my five year old nephew-to-be, Oscar) whole-heartedly agreed. 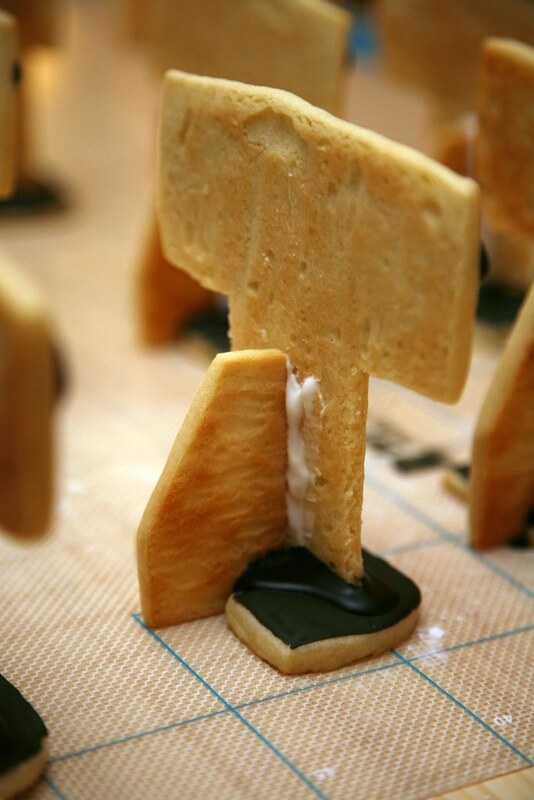 Cole helped me construct the cookie so it could stand up-right. 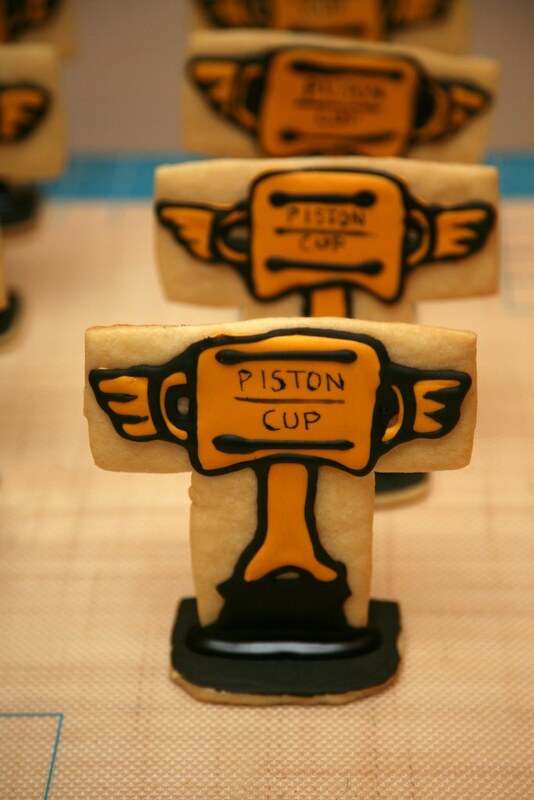 I thought they looked much more trophy like when they were standing up so I was excited when we figured out how to make it work with a little engineering and royal icing "glue". Happy 3rd Birthday, Hazel! 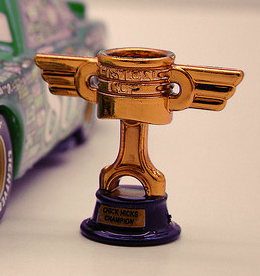 Hope it was a fun one!